wow demi you're my idol love this song and i love your show sonny with a chance too i totally love u i don't believe the others saying that your show is stupid wish there's an audition for your show. i love this song and Demi Lovato. I have seen one of her concerts and just thought she was great. 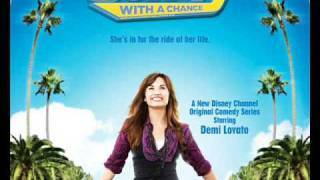 This song pushes me in life with everything so far Demi is great and so am i.
i love the song....SWAC premeried in India(my country) quite late...but i liked the sound of it soooooo much that i saw all episodes online! I am not demi, but laura, what do u mean by demis a mint? btw, did you comment on here we go again page 2 katty(katlyn) giggles!